Quick-thinking binmen saved two kittens from being crushed to death in a rubbish lorry after they were thrown out with the recycling. The two unwanted moggies were sealed up in a box and left on a street among waste for recycling. 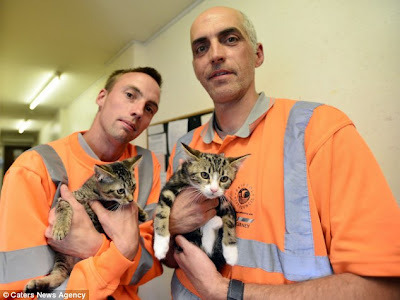 But just before it was thrown into a dustcart’s compactor, the binmen decided to check what was in the box after hearing meowing - discovering the nine-week-old kittens inside. The cardboard box had no air holes and had been deliberately taped up to prevent the frightened animals from escaping before being left among waste put out for collection in Shirehampton Road, Stoke Bishop, Bristol. The Kittens have now been dubbed Biffa - after a recycling company - and Oscar - after the famous trash can-living character from the Sesame Street TV show. 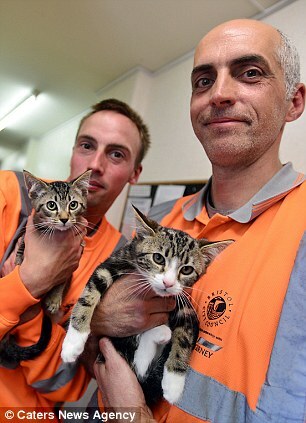 The two-man crew who work for May Gurney recycling team took them to a local vet who told them the animals were brothers. Driver Phil Mealing, 44, said: 'I picked the box up and it was covered in brown tape. It felt like there was something loose inside and we have to keep things separated for recycling so I tore a bit of the tape off and found a kitten staring back at me. 'I assume somebody must have dumped them on their way past but it makes you wonder who thinks like that. 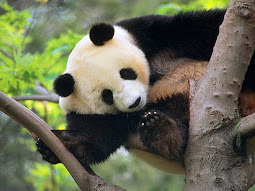 'There was a vet just 50 yards down the road - why didn’t they just take them there and say they had found them?